Detectives investigating the murder of a retired teacher have said they think she was assaulted with her walking stick before being stabbed in her home. Betty Yates, 77, was found at the foot of her stairs in her cottage by the River Severn in Bewdley in Worcestershire on 4 January. 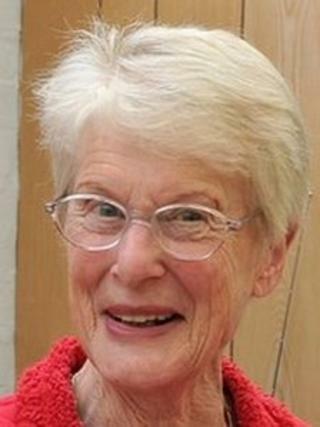 West Mercia Police have also revealed her home was locked when her body was discovered. Her walking stick and the knife used have since been recovered. But the keys to the property have not yet been located, police said on Monday. Officers were alerted by a friend of Birmingham-born Mrs Yates after she failed to turn up for an organised walk the day before she was found. Her provisional cause of death has been given as stab wounds to the neck. A major incident room has been set up and officers are following up "many lines of inquiries" as part of the murder inquiry. Det Ch Insp Neil Jamieson, who is leading the investigation, said Mrs Yates was the victim of a "sustained and violent attack" and urged anyone with information to contact them. Confirming the property was locked when police arrived, he said finding the keys would be "significant". He said: "It is possible that the cottage was locked up by the killer or killers when they left using keys Mrs Yates normally carried with her. "These were on a fob attached to a black, pencil case-size purse which we have not yet found. "Finding this would be significant and I would urge anyone who may have found or seen them in the area to let us know immediately." Mrs Yates's cottage remains cordoned off as searches of the nearby area continued. "We are very grateful for the response but would urge anyone else who has not yet come forward to do so without delay," Mr Jamieson added.